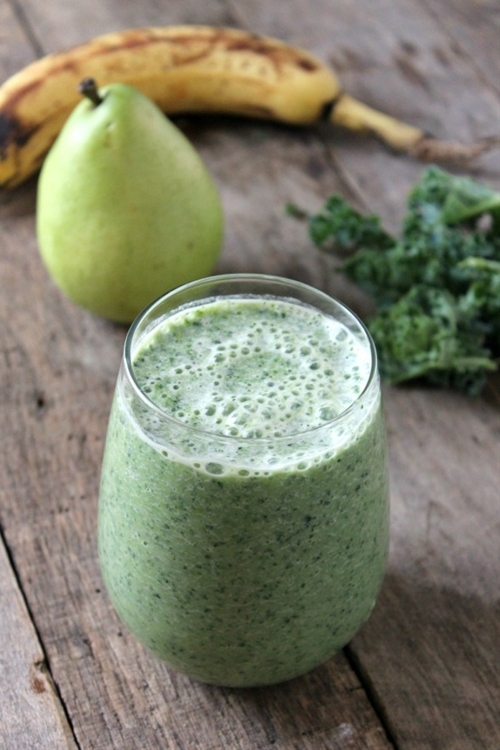 This kale pear green smoothie is a favorite of my kids, regardless of age. Which I like, because I can whip up a big batch for the whole family which can speed up the process. I also like to chop up the fruit the night before to save time in the morning.